What if you could apply proven strategies and become the preferred partner in your accounts? You’ve won some business, and now it’s your account. Or is it? Think again! Do you know where in your account big decisions get made? Would you like your key customers to include you as part of their management team? Are you there in the planning stages to eliminate your competition before they even find out? Do you have a defined plan to target the exact decision-makers and influencers who drive big deals? Companies are not successful for the customers they sell; they are successful for the customers they keep. Students of Account Management will be prepared to step into careers to grow and manage customers in companies in all industries. Account Management Certification skills include the behaviors and activities necessary to sell follow-on products, services and upgrades after the initial sale. Those skills include finding the very large opportunities in existing accounts, getting invited to the planning table as a planning partner, and gaining opportunities to compete for business long held by competition. Companies who value retaining and growing their customers will find graduates of Account Management highly attractive candidates for hire, and students with Account Management skills will be prepared for careers competitive with senior, experienced employees. Acquire essential skills necessary to manage and grow your accounts. GDA’s results-oriented courses are designed to establish you as the preferred partner where you become a vital part of your customer’s team. Not only will you acquire a strong account presence, it will be relatively easy to sell upgrades, sell big deals and effectively penetrate your marketplace. Every sales and marketing person has had the perplexing experience of losing a big sale that we “just knew we had won!” We proved our business solution, our features were great, the customer was enthralled with our people, our prices were better, and the customer wanted the benefits… yet we lost. Whether the loss was to a competitor, to another internal project or to perpetual delays, it hurts. Where did we go wrong? Many times it is not where we went wrong, but that we forgot or didn’t know how to answer the question, “So What?” Even price discounts are not compelling reasons to buy. But if we could get a customer to say, “Every month we delay costs us $90,000,” then we have created a compelling reason to buy. Are you leaving a pipeline of opportunity with existing customers on the table? Through sales skills and techniques for selling upgrades, you will learn how to identify, quantify, validate and close incremental business that precisely meets your customer’s needs and desires. By practicing two sales calls that are part of this training, your will confidently close customers immediately and almost every time! The most powerful sales technique for driving record setting business growth is through selling big deals worth 10 times your existing pipeline. Through GDA’s Finding Big Deals chapter, you will readily identify potential and exact decision-makers in your key accounts, learn how to structure and close business deals, and virtually eliminate competition. Would you like your key customers to include you as part of their management team? What would happen to your bottom line if your post-installation sales out-performed your initial sales for all of your key accounts? In Account Presence chapter, you will acquire sales skills and techniques that will empower you to increase your company’s presence in each of your key accounts. Through a simple process in Competitive Penetration sales training, you will acquire skills and techniques that open the door to your competitor’s customer and help you to dominate a sales territory. There is no getting around it. No matter how good your selling skills are, you need new opportunities and new prospects. We’re not talking about mailing lists, or prospecting calls… we’re talking about creating qualified leads -- documented customer interest from people who have said, “I have plans, and I have money. 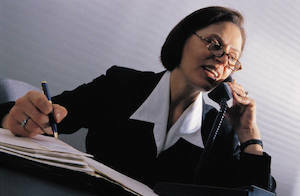 When can I talk to a sales person?” Now that’s a lead! Each course is composed of two or more modules, and each module may take 20 - 30 minutes to complete. Each module has one or more quizzes for content reinforcement, and a successful completion of the quiz gains you access to the next module. Successful completion of the course final exam provides access to the course certificate. What if you could repeat your best 'in the zone' sales call… every time? Consultative Selling in Real Estate will help you achieve an "in-the-zone" performance during the various roles that you play as a real estate agent. You will understand the logic and flow within an optimal conversation between you and your seller, you and your buyer, or you and another agent. You will be able to execute as needed, on purpose... every time. From the comfort of your home, office or anywhere, you can acquire knowledge and practices that will change your results in sales forever. Training worth thousands of dollars from highly acclaimed expert instructors is value priced to fit almost every budget. Results acquired through these selling techniques will pay for this training in no time and many times over. The vast majority of sales training programs actively tell you what to do. In contrast, the keystone sales methodologies offered in GDA’s Consultative Selling courses teach you how to do it. This chapter provides an overview of the Consultative Selling process and techniques. After completing this chapter, you'll understand why audiences world-wide rave about our use of music, videos, and reinforcing quizzes to keep you engaged while growing your skills base. People buy or sell houses and property withreal estate agents that they enjoy being with and that allow them to relax right from the beginning of their meetings. This chapter teaches you how to establish rapport every time you have a conversation with a client. Whether you have an appointment or you are trying to get an appointment or just an answer toan email or voicemail, you have only about twenty seconds to get someone's attention. Arouse their interest. Make them want to talk with you. Twenty seconds that will make or break the effectiveness of every single interaction. In this chapter you will learn three techniques that will enable you to gain anyone's interest in less than twenty seconds. Buyers, sellers, developers, other agents and brokers... you will be able to make them all decide to open up to have a dialogue with you. Imagine knowing exactly what your customers or clients want, why they want it, and how they will make their decision…before you begin your presentation. You can have this conversation with any customer and earn their preference to buy from you, locking out completion just by the way you discuss their needs. This chapter teaches you how to use your understanding of your client's needs and present the features and advantages of your solution or proposal in a way that specifically addresses those needs. In addition, you will learn how to engage the client in your presentation to maintain interest and gather information you can use effectively in your closing. If you’re not closing sales, you could be missing these key points: What are the objectives for the sales call? How do the objectives change during the selling cycle? How will you know if you’re making progress? Regardless of the sales call objective (what you are closing for), this module on Closing for Commitment will provide the path to your desired results. You encounter objections daily in the real estate industry... particularly if you actively prospect for new leads and new clients. And this is exactly what you want!! Objections are good things! This chapter will show you why and help you consistently tur client objections into reasons to move forward. Learn to make objections work for you, and work together with your client against the problem. Learn how to complement your sales skills with the most thorough, comprehensive approach to the sales process. In this chapter you will learn how to thoroughly integrate your sales skills and tools with an innovative approach to achieving excellence in all aspects of the selling process. If people knew the wealth that comes from owning their own homes…. if they knew how their homes could be a source of wealth creation whether the economy turned upward or downward… if they knew that today, RIGHT NOW, is the time that will be referred to as the “good old days” for buying and selling homes… for upsizing, for downsizing, for buying their first home… if they knew what you will know after completing this chapter, they would be lined up outside your office so that you could help them buy or sell a home. Each Consultative Selling in Real Estate course chapter is composed of two or more modules, and each module may take 30 - 40 minutes to complete. Each module has one or more quizzes for content reinforcement, and a successful completion of the quiz gains you access to the next module. Successful completion of the course final exam provides access to the course completion certificate. Ensure success throughout your career with these essential communication skills. Effective communications are at the heart of success in any organization. Whether you are communicating within your organization, or with clients, it is imperative to gain support and build consensus. Establish a connection in the workplace such that you gain trust with anyone you communicate with. Gain engagement with fellow workers, superiors, and customers so they cannot wait to discuss your ideas. Understand the perspective of anyone you talk with. Propose solutions in a way that gets their feedback and moves you closer to agreement. Resolve issues at all levels of engagement, before they become problems. Gain agreement to move forward with your ideas. Success in every job and in every career requires effective communications with others in the workplace. Technical skills, job skills, expertise and college degrees are not enough. Success in the workplace requires communication with coworkers, management, other departments, clients, and vendors. Workplace success requires communicating ideas, gaining support, addressing change, challenging outdated processes, and building consensus. Essentials of Workplace Communications addresses the skills and provides real-world practice to gain expertise and confidence with interactions on the job in any environment. 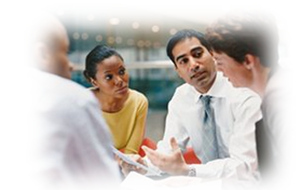 The course builds and integrates all six skills necessary for effective workplace communication. Students will gain expertise to establish connection, gain engagement, understand perspective, propose solutions, resolve issues, and gain agreement. Students with effective skills in workplace communication will have a definitive advantage in getting hired and being successful in their careers. Students will gain expertise to establish connections, gain engagement, understand perspective, propose solutions, resolve issues, and gain agreement. People work with people they like and with people they trust. Without trust and relationship, simple communications can become stalled or worse, become major issues. Whether participating in a one-time interaction or working with co-workers, management, vendors, or clients, establishing an open, trusting relationship right up front makes a critical difference in the ability to achieve success on the job. This course will teach you effective techniques to build relationship and trust with co-workers and associates. Your workplace objectives are important to you, but they may not be important to the people you need to work with. Your priorities are not their priorities. Your goals are not their goals, and your needs are not their needs. Even if you have an appointment or scheduled meeting, in many instances, you will just not have their attention. Early on in your conversation, you will have only about twenty seconds to say something that grabs the other person’s attention and makes them willing to suspend what they were thinking about and want to engage with you. This course will teach you techniques and skills to engage the interest and willing participation of other people right at the start of your conversations. The single most valuable component of effective communications of any type is understanding the needs of the person with whom you are speaking. Before you even think about presenting your ideas to others, you need to make sure that you understand their perspective, their needs, and their issues. Armed with a solid understanding of the needs of the other person or the needs of his or her department, you will have the background to present your ideas in a context that will be valued by your co-workers or associates. You will be far more effective in your suggestions, ideas, and requests. This course will teach you techniques for asking questions that funnel down to a clear perspective of other people’s needs so that you can be prepared to discuss your own needs, requests, ideas, or proposals to a much more open and welcoming person or audience. Discover when there are disconnects so that you can recover the other person’s interest during the discussion. As a result of learning the presentation techniques and process in this course, you will be able to share your ideas and perspectives to gain understanding and support with even the most resistant person or department. At any point in time during your interactions and communications in the workplace, you will encounter a wide variety of obstacles and issues that will need to be resolved. People will object to your ideas, they will object to your approach to solving a problem, they will object to all… or any part of a proposal that you might be strongly devoted to. They might even object to you! Wouldn’t it be helpful to know what to do to manage such circumstances to a favorable conclusion? Such encounters are not necessarily bad things. What sounds like the exact same issue coming from two different people… is likely very different. What may seem like an infinite number of issues, problems and concerns… can actually be narrowed down to a manageable number of different types, and it may help to recognize the differences. 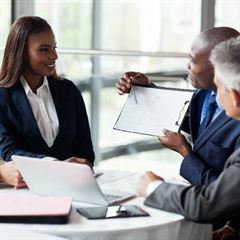 There are a variety of techniques that you can learn and practice to enhance your professional communications and interpersonal management style. To be successful in the workplace, you will need to gain agreement from your co-workers, your manager, other departments, or outside associates, clients, and vendors. Gaining agreement, in many cases, true commitment, can become a consistent strength that enhances your success throughout your career. In this course, you will learn how to incorporate specific information from your conversations that will enable others to find comfort in agreeing to take the next steps with you. You will be able to gain buy-in, set up follow-on meetings, get introductions, acquire resources, change priorities, get approvals, create urgency, and hundreds of other requirements for moving forward on the job. Each course is is composed of two or more modules, and each module may take 20 - 30 minutes to complete. Each module has one or more quizzes for content reinforcement, and a successful completion of the quiz gains you access to the next module. Successful completion of the course final exam provides access to the course certificate. There are eight course certificates available for you to earn in the Consultative Selling Bundle. What would it mean to your business growth if you knew precisely how to apply critical people management skills? Would you like a proven framework for developing effective people management skills? What if your employees could be provided with a detailed map for achieving success? What if you had the skills to turn a difficult employee around? What can you do with an employee who has lost trust, commitment and morale? According to research, the number one answer given by people for quitting their jobs is, “My manager.” People Leadership addresses the core competencies necessary for the leadership and development of employees. Graduates of People Leadership will have the skills and templates to create, discuss and engage employees in developing written descriptions for performance and evaluation. The graduates will also have skills and templates to create and manage careers, conduct effective interviews, coach people back to performance standards, and motivate people and teams through recognition. Students and corporate managers who complete People Leadership will be highly valuable for promotions and performance as managers in all industries. GDA’s World Class Leadership Management training online course, which includes Performance Planning, Career Development and Counseling Employees, will empower leaders at every organizational level to build and retain a highly qualified, responsible and dedicated work force. Explore GDA’s Leadership Management course topics below and register. Management guidance and instruction in directing, coaching and facilitating performance on the aspects of the job not covered by other forms of measurement or compensation. A recommended system of periodic or annual assessment that also provides the employee with a detailed map on how to be successful. From time to time, managers encounter employee problems that reduce morale and impact work performance. Reaching a problem employee and leaving them with a deep and personal commitment to make things right is attainable. Through this leadership training, leaders and managers will learn a communication / counseling process that recreates respect, understanding and responsibility and in most cases, in just one meeting. Career development is the single most important tool for creating loyalty and strengthening an employee’s commitment to company goals, mission and vision. Through this Leadership Management GDA course chapter, managers are guided in how to provide optimal coaching for each individual employee. Each course is composed of two or more modules, and each module may take 20 - 30 minutes to complete. Each module has one or more quizzes for content reinforcement, and a successful completion of the quiz gains you access to the next module. Successful completion of the course final exam provides access to the course completion certificate.